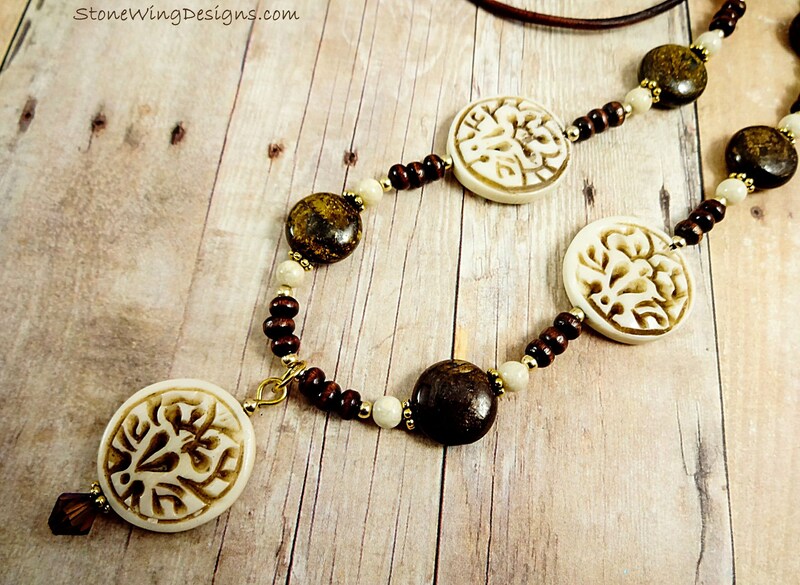 Featured in this rustic bohemian necklace are round carved bone beads in cream and dark brown highlighting the lotus carving. 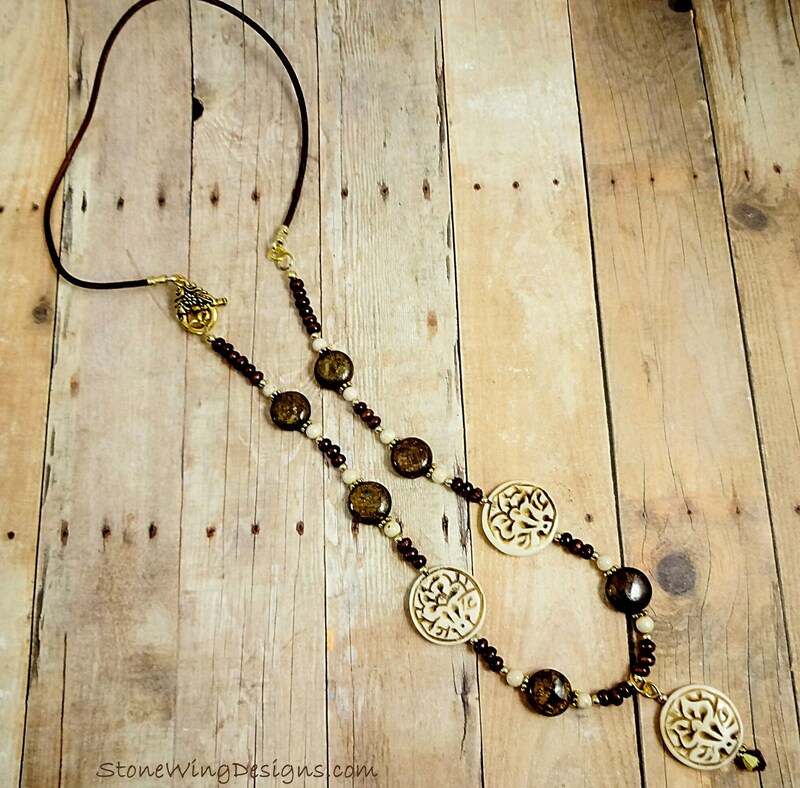 The smaller coin beads are Bronzite, an earthy brown stone that pairs nicely with the carved bone. The 4mm round white beads are Riverstone and the small dark brown rondelles are made of wood. 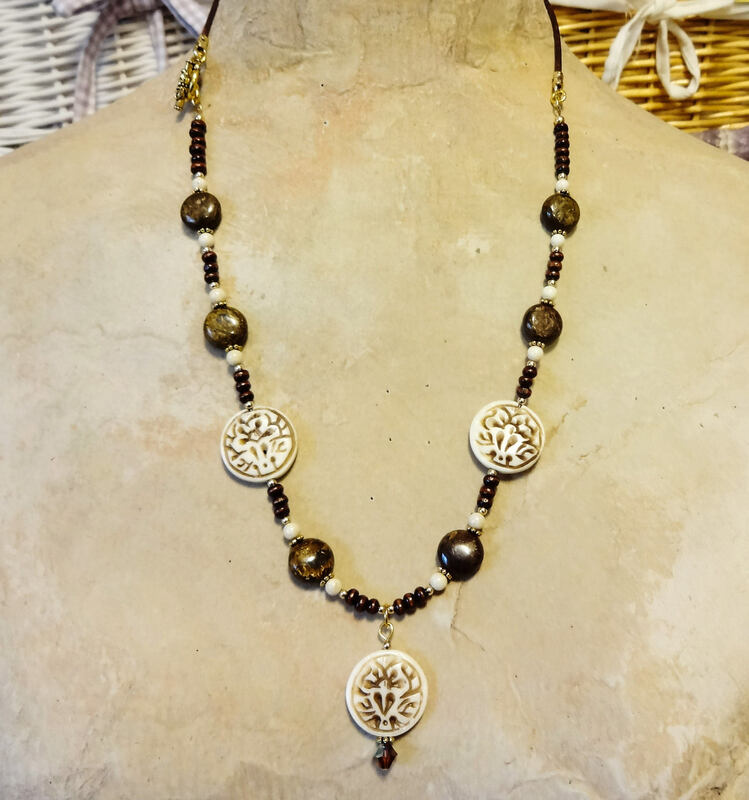 Gold daisy spacers, 2 mm 14k gold fill spacer beads and a gold toggle clasp add warmth, and the necklace is finished with a length of dark brown 2 mm leather. 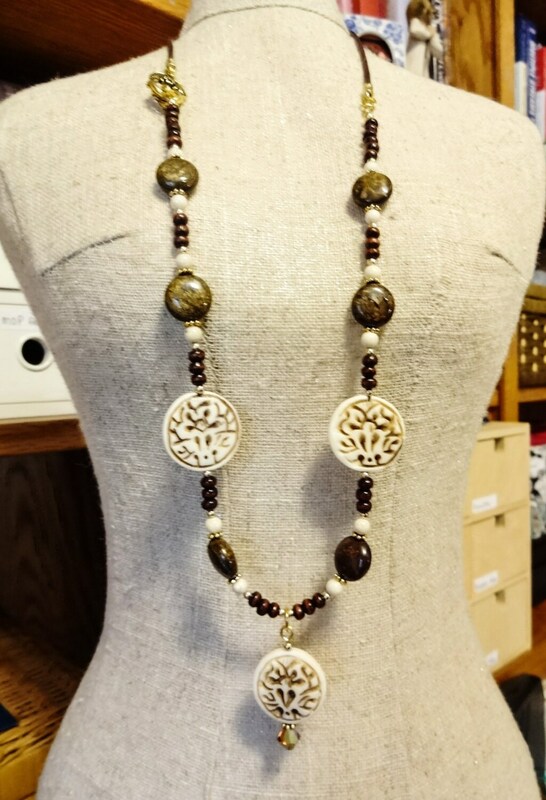 Necklace length is about 20 inches.